Connect the Blue Tomy (Tomica) track to your tan Trackmaster track for double the fun. 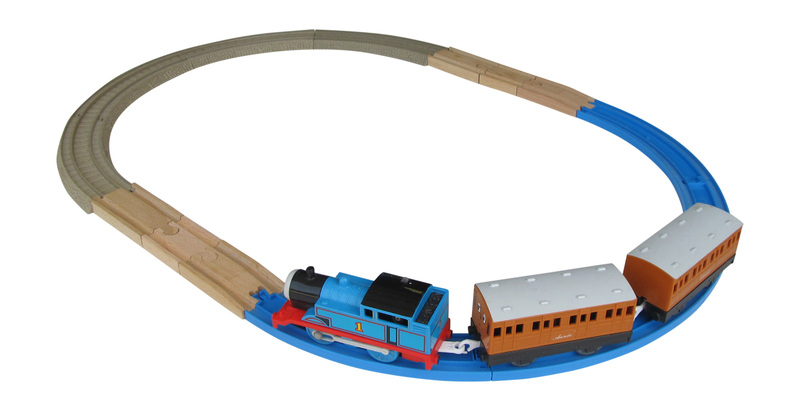 Includes 1 male and 1 female wooden adapter (tan and blue track not included). Made in the USA by Choo Choo Track & Toy Co.